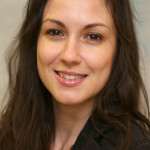 Dr. Neli Demireva is a Lecturer in Sociology at Essex University. Her research interests include migration, inter-ethnic ties, social cohesion, ethnic penalties and multiculturalism. She has published in leading journals in the field: Sociology, Ethnic and Racial Studies, the Journal of Ethnic and Migration studies; the International Journal of Comparative Sociology and has prepared several policy reports on issues of ethnicity and migration. She currently holds a BA grant on “Understanding the Ecology of Disadvantage: Betting Agents, Crime and the British Neighbourhood” and an Executive Dean Fund grant “Multiculturalism as Innovation” focusing on attitudes towards multiculturalism. ​From September 2015, she will start work on the project: “GEMM: Growth, Equal Opportunities, Migration and Markets” (as part of the Horizon 2020 programme of the European Commission, “EURO-2-2014: The European growth agenda Research and Innovation action 4: Migration, prosperity and growth“). This project addresses the challenges and barriers that European countries face in managing the mobility of persons to realize competitiveness and growth.